DocMagic, Inc. is proud to announce that president and CEO, Dominic Iannitti, was honored by HousingWire with its 2016 Vanguard Award, which recognizes top mortgage executives for professional accomplishments and for their positive impact on the industry at-large. The Vanguard Award list is limited to business unit executives within the housing and mortgage finance spheres, specifically those who stand out as innovators and trailblazers. The bar is set extremely high, so all Vanguard nominees represent the highest caliber and demonstrate substantial industry influence. 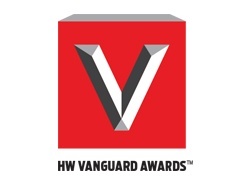 “The HW Vanguards continues to impress going into its second year; the winners are second-to-none and this list represents the finest cross section of mortgage talent available,” said Jacob Gaffney, HousingWire editor-in-chief. DocMagic Inc. has announced that Melanie Feliciano, the firm's chief compliance officer, has been appointed to the board of directors of the Electronic Signature & Records Association (ESRA). 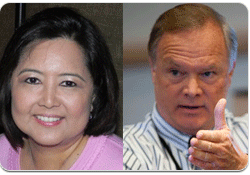 She was elected during the organization’s E-Sigantures 2013 Conference in New York last month. ESRA is an important initiative focusing on e-signatures and electronic records. Its original founding members included Genworth Financial and Wells Fargo Home Mortgage. Education is the primary mission of ESRA. The association is a centralized educational resource for its members and the public with respect to the legal, regulatory and operational issues in relation to the use of electronic signatures and records.